NishiHongan-ji is head temple of the Jodo Shinshu Honganji sect in Shimogyo-ku Kyoto-shi, Kyoto. 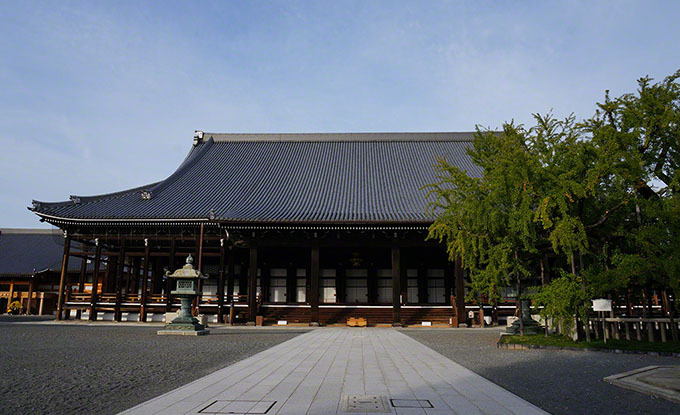 The temple has a number of national treasures, important cultural properties such as Miei-do and Amida-do and Kara-mon and Hiunkaku and Shoin. Ginkgo trees of old about 400 years, has been designated as a natural monument of Kyoto. Nishihongan-ji has been a World Heritage Site as part of the “Historic Monuments of Ancient Kyoto”. Posted in 洛中エリア and tagged 世界遺産(World Heritage).